A contractor located in Gansevoort, New York was preparing to start on a project at a local dam. The project included completing maintenance on a building's roof insulation. To do so, the contractor had to remove the top layer of concrete and then insert a new water absorbent membrane. There was one issue though; the concrete had several conduits running through and underneath it. The contractor knew that hitting any of the pipes would be a very costly mistake; however, the facility’s records could not confirm the exact location of all of the piping. The contractor had a similar issue on a previous project. Due to the fact that GPRS did great work on the previous project, the contractor knew exactly who to call. Jim Bell of the Upstate, New York office, which focuses on the Buffalo, Rochester, Syracuse, Ithaca, Elmira/Corning, Plattsburgh, and Albany markets mobilized to the site and was able to quickly detect and lay out the lines running through the area in which the slab would need to be removed. 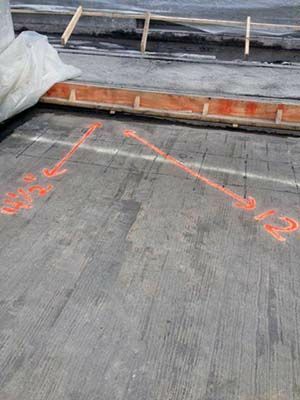 Thanks to the top of the line GPR technology that GPRS utilizes, Jim was able to complete this project in real time; without any of the radiation concerns that come along with using x-ray. Ground Penetrating Radar Systems has the ability to locate and map out rebar, post-tension, and conduit prior to saw cutting and trenching. To schedule service or for a quote on concrete scanning, please contact Jim Bell at (315)715-5137 or jim.bell@gprsinc.com.